We’ve all been there, but let’s be honest. Procrastination is the worst. It’s stressful and time-consuming and we always, always, regret it. So how about we try something different this year? How about we start planning our ministries an entire year at a time? It only takes one day each year, and it’s going to make the other 364 days of your year so much more fun, peaceful, and effective. If it sounds too good to be true . . . well, it’s not. It’s actually really doable. Try to meet during at least a month before your school year (or calendar year) begins, but if your ministry is already in progress, then just schedule your meeting as soon as you can! Think about inviting your staff, key volunteers, fellow ministry leaders, or even your lead pastor, to be a part of this meeting with you. Invite people who understand strategy, ministry, and teenagers. Don’t do this alone! To make sure you’re not wasting anyone’s time, come up with a game plan in advance. (And, no, asking the question, “So . . . what do you guys want to do this year?” is not enough of a game plan.) Instead, here’s what we suggest: identify the areas where your ministry needs an annual strategy. We’re already identified six for you. . .
• DISCIPLESHIP: This year, how will you strategically help teenagers grow spiritually? • TEACHING: This year, how will you teach teenagers what they need to hear, when they need to hear it? • WEEKLY PROGRAM: This year, how will you keep your weekly program fun and engaging? • EVENTS: This year, how will you leverage special events to invest in students? • VOLUNTEERS: This year, how will you recruit, train, and invest in your volunteer team? • PARENTS: This year, how will you engage, connect with, and serve parents? Imagine the impact you’ll make this year if you strategically develop an annual calendar for all six of those areas! Not only will you be helping your students grow, you’ll be helping your entire ministry grow as well. Once you’ve got a plan . . .
We love using large (48” x 48”) color-coded storyboards for our annual calendar planning for a few reasons. First, it’s easy to see your entire year at a glance. Second, it’s easy to move things around once you’ve placed them on the board. And third, it’s a great way to visually map your entire ministry strategy — not just your calendar. You can purchase a board like this one or, if you’re feeling crafty, you can make your own. Our color code looks like this . . .
You’ll also want to keep some blank white cards handy for headers or unplanned additions to your calendar. Across the top of the board, place twelve white cards (one for each month of the year) and label them, beginning with the start of your school year or whatever month makes sense for you. In case you need a reminder in the middle of your meeting, you might also want to create a color key at the top of the board to help you remember which color equals which category. Place small squares of each color at the top with the title of the category those colors represent. If you want people to stay engaged during this meeting, don’t forget to feed them! And caffeinate them too, while you’re at it. We suggest structuring your meeting (and filling in your annual calendar) in a very specific order. We even created the video at the top of this page so you can use it during your meeting to help guide you. After that, check in with your team and make sure everyone is ready. Share the calendar for the day, make sure everyone’s coffee cups are filled, and then get started. In this order . . . Begin your meeting by talking about your big-picture discipleship strategy because, once your discipleship strategy is determined, you can strategically plan your teaching, weekly program, and events to complement the timing of your discipleship efforts. If you’d like, play the Planning Your Discipleship Strategy part of the video for your team. It will introduce this part of the meeting. 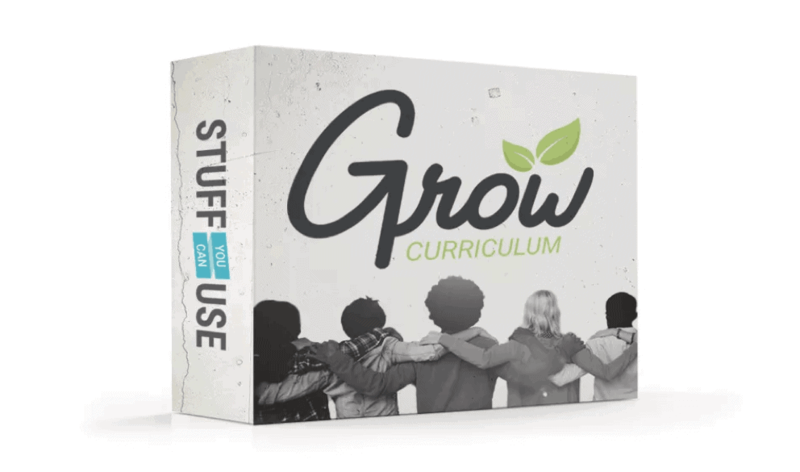 If you’re using the Grow Curriculum Discipleship Strategy, break your year into four quarters, then assign one spiritual habit to each quarter. We assign Spend Time with Others to the fall, Use Your Gifts to the winter, Spend time with God to the spring, and Share Your Story to the summer. If you want to understand the strategy behind why we placed those spiritual habits where we did, be sure to watch the video for this section. Each year, it’s important to plan ahead the topics and Scripture you plan to cover. When we fail to plan ahead, we run the risk of missing big important ideas, teaching only the topics that interest us most, and failing to give our students a full and holistic view of God. So plan ahead! It’s important. If you’d like, play the Planning Your Teaching Strategy part of the video for your team. It will introduce this part of the meeting. First, establish a bank of topics you want to cover and how often you’d like to cover each of them. Once you know those topics, place them on the calendar in the months that make sense. If you’re using the Grow Curriculum Teaching Strategy, check any of the calendars you’ve downloaded to see where each series topic should go. When you’re deciding when to schedule your teaching topics, be sure to consider what else is happening that month, both in your church and in your students’ lives. You’ll be much more effective when you time your teaching topics to align with the experiences of a teenager and your overall church strategy. When everything is on the board, you may want to spend some time as a team brainstorming ideas or specific subjects for each of the series you plan to teach throughout the year. When you begin to develop your teaching series in more detail, you may want to plan some interesting weekly programming elements (like special songs, activities, or experiences) to enhance that month’s topic. Your annual planning meeting probably isn’t the best place for that, though. For this meeting, you’re going to want to focus on the big picture. For this portion of the meeting, we recommend planning your games for the entire year. Maybe that sounds crazy, but when you plan your games for the entire year, you relieve yourself of the pressure to come up with a new game every single week. And that’s a big time-saver. If you’d like, play the Planning Your Weekly Programming Strategy part of the video for your team. It will introduce this part of the meeting. Think of it this way. If you have 50 weeks of ministry, you’re going to need at least 50 games. So grab 50 cards (yellow ones, if you’re using our color code), brainstorm 50 games, then stick them on the board. If you’re using the Grow Curriculum Weekly Programming Strategy, check any of the calendars you’ve downloaded to see we’ve placed each game. Then take a look at all of them together. Once they’re all on the board, you might realize things like . . . I don’t know if this game will work with our group. Let’s swap it for something else. December is National Flashlight Month, so let’s move this flashlight game to December. We have a few games that need plungers. When we buy them for September’s plunger game, let’s make sure we don’t lose them before January’s plunger game. In November, we scheduled a lot of messy games. We should mix that up. Maybe it sounds silly at first, but you can be a lot more efficient by planning your games a year at a time. Now take a break! You’ve earned it. We’re fans of keeping your event strategy simple. You can make a bigger impact by doing fewer events with more strategy. Here’s our recommendation for keeping your event strategy simple: do one event each quarter, plus a mission experience and a summer camp. If you’d like, play the Planning Your Events Strategy part of the video for your team. It will introduce this part of the meeting. In the fall, we suggest doing an overnight event to kick off the school year and help students build relationships with their peers and especially with their small groups. This aligns pretty nicely with the Spend Time with Others spiritual habit in our discipleship strategy. In the winter, remember that families are busy and a little short on cash around the holidays, so do a simple, fun, and free event. In the spring, when you’re focusing on the spiritual habit of Spending Time with God, take your students on a weekend retreat and focus on discipleship. And in the summer, remember that you’ve got a busy summer ahead of you (and so do families), so host a simple and fun event that gets students out of the house and having a blast together. Then follow it up with your summer camp and a missions experience, either locally or internationally. If you’re using the Grow Curriculum Events Strategy, check any of the calendars you’ve downloaded to see where each event should go. We’re convinced there are seven ways to invest in volunteers, and all seven of them need to be represented on your annual calendar. Maybe that sounds overwhelming at first, but it doesn’t have to be. Promise! If you’d like, play the Planning Your Volunteer Strategy part of the video for your team. It will introduce this part of the meeting. When planning your year of investment in volunteers, you’re going to need to consider volunteer events, meetings, discussion groups, one-on-one conversations, tools, communication, and celebration.  If you’re using the Grow Curriculum Volunteer Strategy, check any of the calendars you’ve downloaded to see where each method of volunteer investment and training should go on the calendar. The point is this: have a strategy for investing in your volunteers. You’re not just a youth pastor. You’re your volunteers’ pastor, too. You’re almost there! The very last thing you need to strategize in your annual planning meeting is the thing we youth pastors always seem to save until last: how you’ll engage parents. If you’d like, play the Planning Your Parent Strategy part of the video for your team. It will introduce this part of the meeting. When it comes to parents, let’s be honest . . . we could all do a better job of engaging them. We’re convinced the key to engaging and investing parents effectively is to plan an annual strategy in four key ways: events, discussion groups, tools, and communication. So finish your annual planning meeting by creating a plan for all four of these areas. To make that happen, we suggest doing four events (an Open House, a Parent and Small Group Leader Breakfast, an event for teenagers and their mother figures, and an event for teenagers and their father figures), two discussion groups (opportunities to learn from parents and ask key questions), a variety of strategic tools (practical resources parents can use), and monthly emails (as well as complementary social media posts). If you’re using the Grow Curriculum Parent Strategy, check any of the calendars you’ve downloaded to see where each method of volunteer investment and training should go on the calendar. Whew. Okay. That’s it. Those are all of our suggestions on how to run an annual planning meeting for your youth ministry. Yes, it’s a lot to cover. Yes, it might take all day. But then you’re done for the whole year! • You’ll be a lot less stressed. • You’ll never have to wonder what you’re doing next week. • Your volunteers, parents, and students will be better informed. • You can take a nap once in a while. And, most importantly, when you have an annual plan to make your vision, strategy, and systems all work together, you’ll make a much bigger impact. So let’s do this. We’ve got big, important, life-changing ministry to do. Let’s put a plan in place so we can make this year the most awesome year yet.